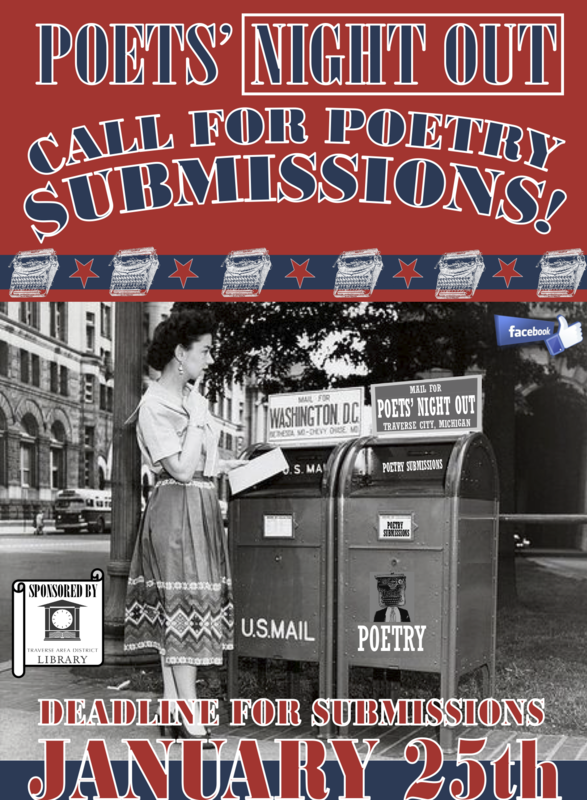 The 2016 call for poetry is now under way! 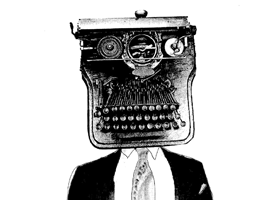 We are accepting submissions of poetry for Poets’ Night Out 2016, scheduled to take place this April. 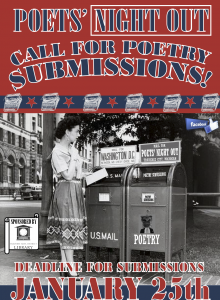 Poetry must be postmarked or dropped off at the Traverse Area District Library Woodmere branch by January 25, 2016. See How to Submit for full details and an individual entry form.